An Anniversary newspaper from the day you were married makes a great gift for lots of reasons..
And it's fun to read what else was going on, on your wedding day. 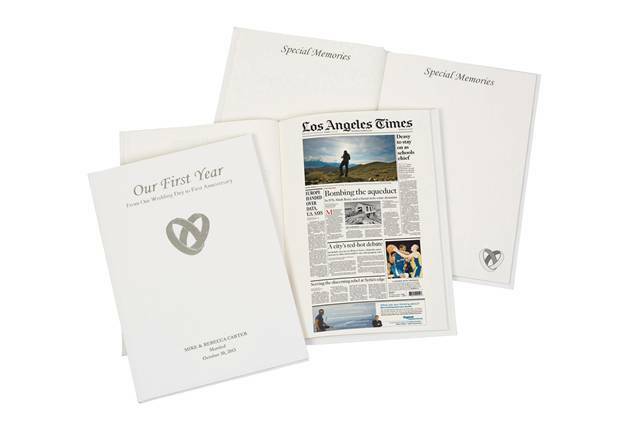 Your 1st Anniversary is traditionally celebrated with paper, so newspapers are a fun way to keep to the tradition. And we have just the gift to remember your first year together. Your very own personalized First Year Anniversary book. The cover is personalized with your names and your wedding date. Inside there is a copy of the newspaper from your wedding day and space to add your own memories too. You can see all the details in our shop here. 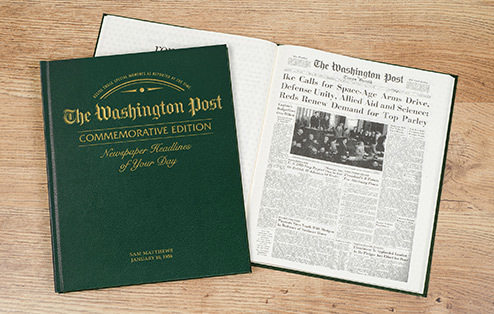 This is a fantastic personalized Anniversary Book with a copy of the front page from your wedding day and from EVERY Anniversary since. The more years you have been married the bigger the book! The front cover is personalized with your names in gold and inside you can add your own personal Anniversary message. This would make a great gift for your parents 40th Anniversary or 50th and more! 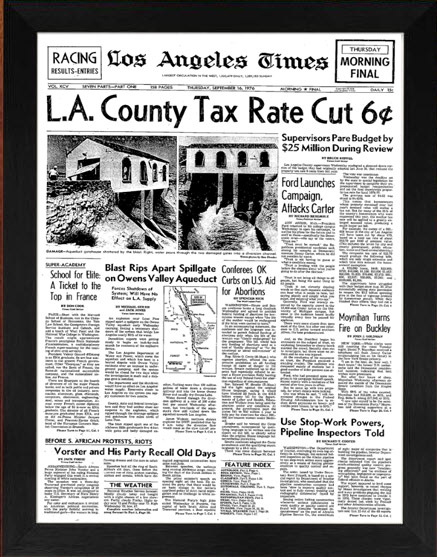 Remember your wedding day with a copy of the front cover of either the Washington Post or Los Angeles Times framed on your wall. Perfect for every Anniversary! You could even have a copy from every year you have been married! See all the details in our shop here. We also have access to one of the biggest archives of original newspapers in the world and will find an original newspaper from your wedding day. If you have ever wondered what happened on the day you were married, you can soon find out! 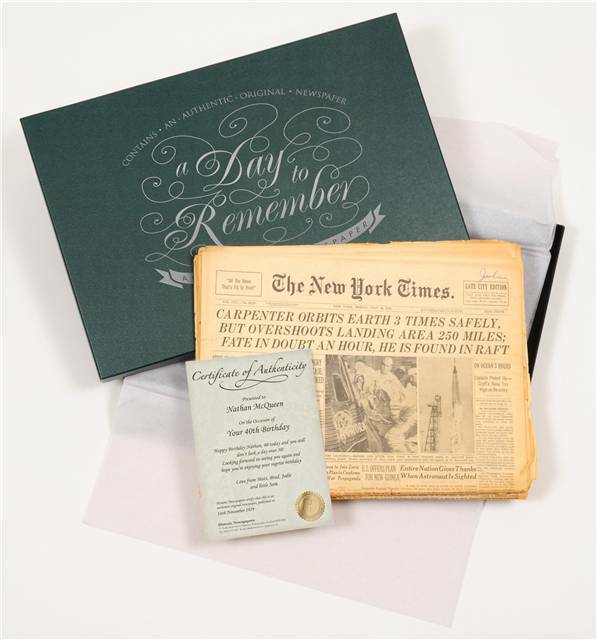 Each newspaper comes in a A Day To Remember Gift box, complete with a Certificate of Authenticity which you can personalize with your own Happy Anniversary message. 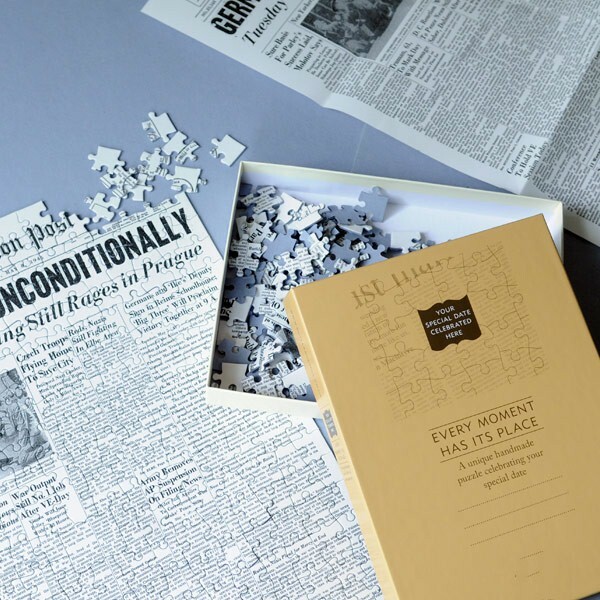 You can even have the front page from your wedding day printed for you as a jigsaw puzzle. Find out how to order yours here.